REVIEW: BIFFY CLYRO ‘ELLIPSIS’ – WIN TICKETS TO DUBLIN SHOW AND ALBUM! 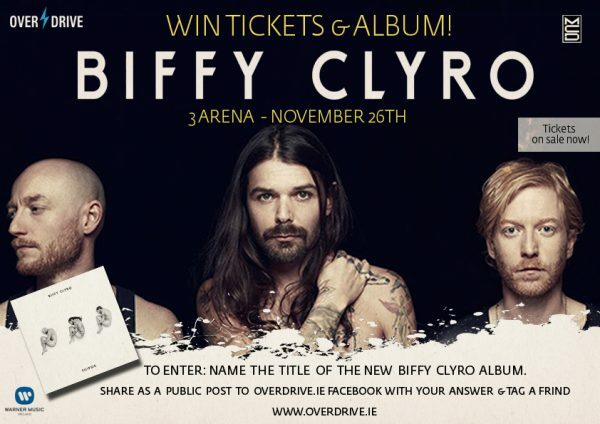 Overdrive takes a long look at the latest offering from Scottish success story, Biffy Clyro and as a celebration of them reaching the top of the Irish charts, we are giving away a pair of tickets and a copy of the album to the bands Dublin date, on November 26th in the 3 Arena. We also be giving away three copies of the album to our runner up entries. Find out how to enter at the of this review. Good luck! The album cover evokes a vibe of vulnerability, as it depicts the three members naked and in foetal position. This idea evolved out of imagining three dots, which supports the notion that “we are all dots in this world full of dots”. In an interview with hmv, frontman Simon Neil claims this album to be a very personal one, as the band struggled with the pressure of justifying their success during the writing process of new rock songs which shall fill giant stadiums. The opening song ‘Wolves of Winter’ seems to fulfill this purpose spot on and thematises this sentiment lyrically. The feelings throughout Ellipses travel the distance from vulnerability to cockiness in a heartbeat. This is a cross-genre cutting album, as it takes the listener from exploring trap beats in ‘Re-arrange’, over pop rock in the likes of Panic! At the Disco in the following song ‘Herex’, to a country/blues rock tease in ‘Small Wishes’. The Scottish trio recorded the album in California with producer Rich Costey, who is known for his meticulous work with rock giants Muse and Mew. The purpose of recording this album across the pond should aid the ambition of making an iconic record. 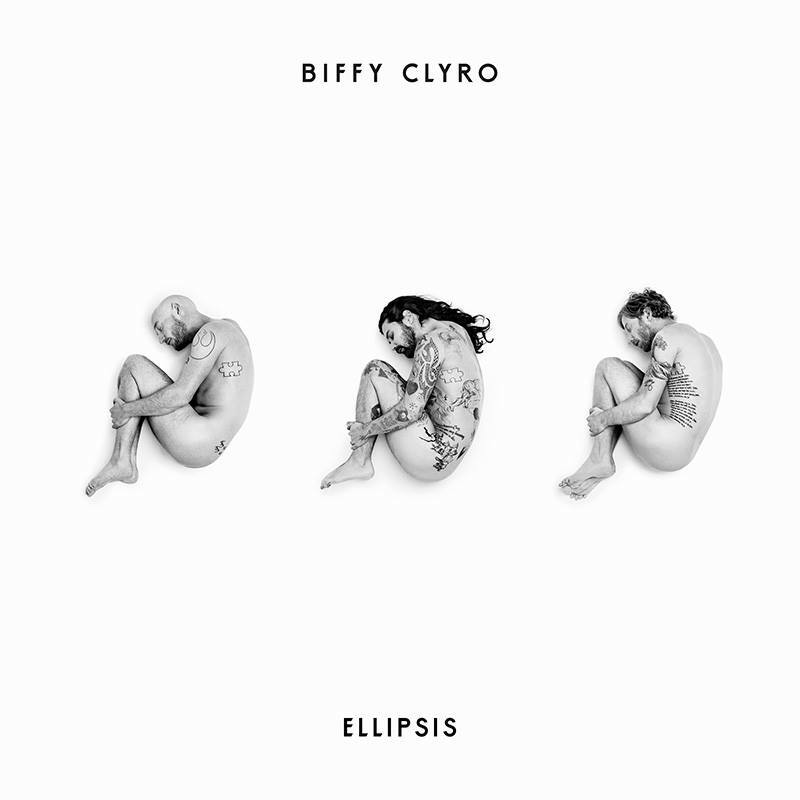 It is noticeable that the general progressive rock tainting of Biffy Clyro’s song writing has faded, which results in a more approachable album for the masses. 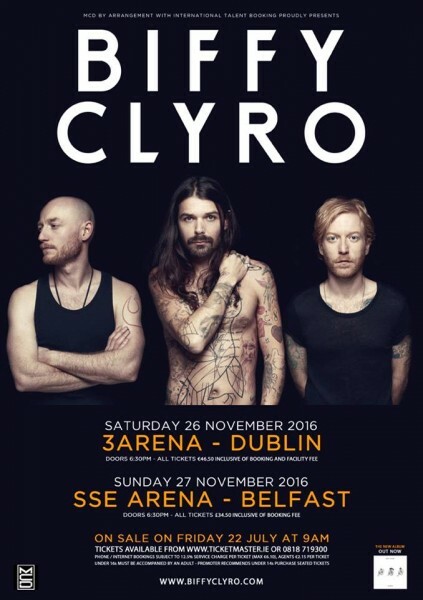 MCD confirmed concerts in Ireland and with this chart topping record, Biffy Clyro will surely fill the 3Arena in Dublin on the 26th of November and the SSE Arena in Belfast the following day. Tickets are going on sale this Friday, the 22nd of July via ticketmaster.ie and cost approximately 46.05€ including booking fee. For your chance to win tickets to Biffy Clyro’s Dublin show in the 3 Arena on November 26th and a copy of the brand new album, simply tell us the name of the bands new album and post it on our facebook page, tagging the friend you would like to bring to the show. It’s that simple!!! Click on the graphic below to access our Facebook page and make sure to share this as a ‘public post’ tagging a friend you would like to bring to the show and of course, the answer to the question. Good luck! Winners will be chosen on Thursday August 11th!